Home / News / Politics / Robredo’s fellow Bicolana withdraws support after proof of her camp’s alleged cheating surfaces! Robredo’s fellow Bicolana withdraws support after proof of her camp’s alleged cheating surfaces! Famous social media entity Franco Mabanta felt incredibly happy after reposting the post of a Bicolana netizen known only under the name of Trinidad who apparently is from the same province as Vice President Leni Robredo. The repost encompasses the original message of Trinidad on his/her withdrawal of support for the Robredo and the reaction of Mabanta on the post. First of all, Mabanta was indeed impressed by this single message that served as a warning to the Vice President. It goes to show that the people are indeed bothered by the recent discoveries of the Presidential Electoral Tribunal on case after case of cheating that occurred only within Camarines Sur. And to make matters worse, it is all pinpointed towards Robredo, which is now causing the people’s loss of trust in her. And lastly but most importantly is the fact that the general public is aware of it and they themselves have been losing trust and allegedly calling out Robredo’s camp for cheating in a public post, is truly frightening. “Sincere question: How many percent of Filipinos (including those who don't like the Marcoses) believe in their or heart of hearts that Leni cheated to win the Vice Presidency? If you were in the Vice President’s shoes, having someone like Trinidad, a former supporter and citizen of your same province who pinpointed all the discovered cases where cheating was made possible which will also serves as hard evidence against the you, what would you feel other than fright? By the way, these discovered cases of cheating that may serve as hard evidence against the Vice President’s election were the destroyed ballots, the pre-shaded votes, the 8,700 deceased Robredo voters and her team’s endless effort to delay the recount, all of this knowledge coming from one person. Now imagine if all this knowledge spread across the nation, would there be a need for another people power to oust the Vice President?" Mabanta made it clear that the camp of former Senator Bongbong Marcos has enough evidence that cheating in the elections occurred that can last for years if new proof was released everyday. 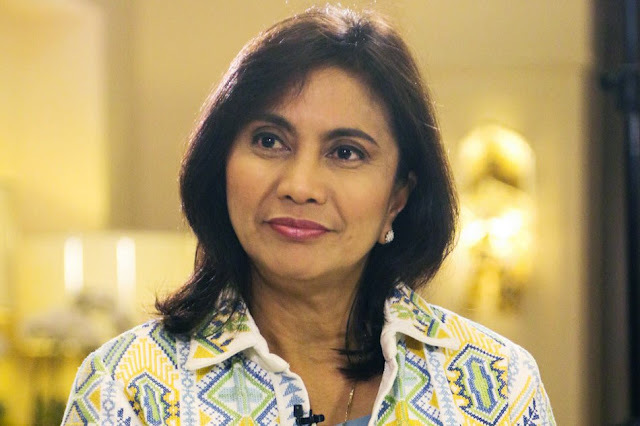 But it can all be avoided and still considered honorable if Robredo would step down and accept the truth, given that she may or may not have any part in this. Sincere question: How many percent of Filipinos (including those who don't like the Marcoses) believe in their or heart of hearts that Leni cheated to win the Vice Presidency? Are we at 90% by now? “Gud am Vice President Leni, I am a fellow Bicolana from Camarines Sur who supported you in the last elections. But after learning of your many election related anomalies in the 2016 elections, especially the destruction of votes of your opponent by water, missing audit, marking of your votes in ballot boxes, Comelec’s confirmation of 8,700 dead peo ple voting for you in Bacolod City, delaying the recount – etc., I have come to my personal opinion, that what your camp did was wrong. I am withdrrawing my support for you.” – Your fellow Bicolana, Trinidad.